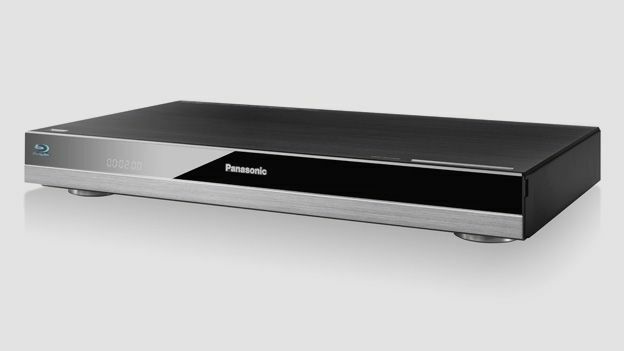 Does the Panasonic DMP-BDT500 Blu-ray spinner live up to its flagship status? In recent years Panasonic has taken a mass-market approach to its Blu-ray player business, but with the DMP-BDT500 it's moving back into the high-end arena already populated by the likes of Denon, Marantz and Cambridge Audio. This flagship 3D-ready deck is a step up from the impressive Panasonic DMP-BDT320, with particular attention being paid to its audio capabilities. The feature highlight is Viera Connect, which brings apps like BBC iPlayer, Netflix, YouTube, Skype and Twitter directly to your TV through the built-in Wi-Fi connection. Its selection isn't as generous as Samsung or Sony's portals, but decent enough – and for the first time web video can be converted to 3D. The DLNA-certified deck also streams music, photos and video over a network from PCs or NAS drives, and plays files from USB devices (including DivX HD and MKV). But the real story is the deck's use of high grade electronics and audio modes not found on Panasonic's cheaper decks, as well as its more luxurious build quality – all designed to give sound quality a boost. Being a high-end deck, no socketry stone is left unturned. You get two HDMI outputs (in case your sound system lacks 3D support), 7.1-channel outputs for those who like to keep it analogue, optical and coaxial digital audio outputs, an Ethernet port and two USB ports – one for media playback, the other for Panasonic's optional Skype camera. There's also an SD card slot on the front. The DMP-BDT500's long remote features both a touch pad and physical buttons. The touch pad allows you to swipe and tap to navigate menus, but its inaccuracy can be frustrating at times – though we do appreciate Panasonic's attempt to appeal to the smartphone generation. The physical buttons control disc playback, number input and other core functions. The deck's onscreen GUI is one of the best around. It's attractive and intuitive, allowing you to move between menus with one swipe of the touch pad. Disc loading can take up to 43 seconds with Java-heavy titles, though 20 seconds is more typical. The deck's picture quality is sensational, offering the cinematic solidity, ultra-sharp detail rendering and natural colours for which Panasonic's players are renowned – and that goes for 2D and 3D discs. But even more impressive is the deck's audio performance. Music on CD is conveyed with a silkiness and balance that you don't get from budget Blu-ray players, with Digital Tube Sound adding some pleasing depth to the bottom end. The Panasonic DMP-BDT500 marks a fine return to high-end Blu-ray for the Japanese brand. Its flagship disc spinner boasts a wide range of features, including Viera Connect, 3D support and DLNA streaming, not to mention its sophisticated audio components, robust build quality and generous connections. This first-rate construction pays dividends when it comes to performance, facilitating the sort of supreme picture and sound quality you'd expect from a flagship deck. 2D and 3D Blu-ray discs really dazzle, while music playback is unusually assured. On the downside, the touchpad remote can frustrate at times and in general it's not quite in the same league of luxury as the Cambridge Audio 651BD for example, but in every other respect the DMP-BDT500 is a brilliant Blu-ray player.